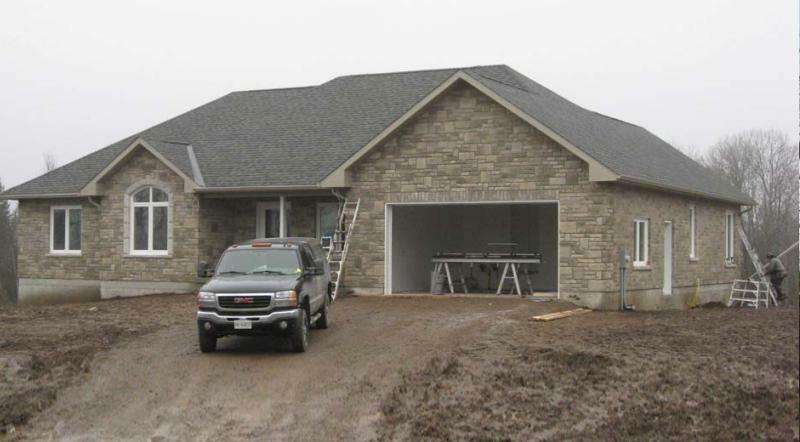 Custom Home Built in Selwyn | Conlin Premier Construction Inc. 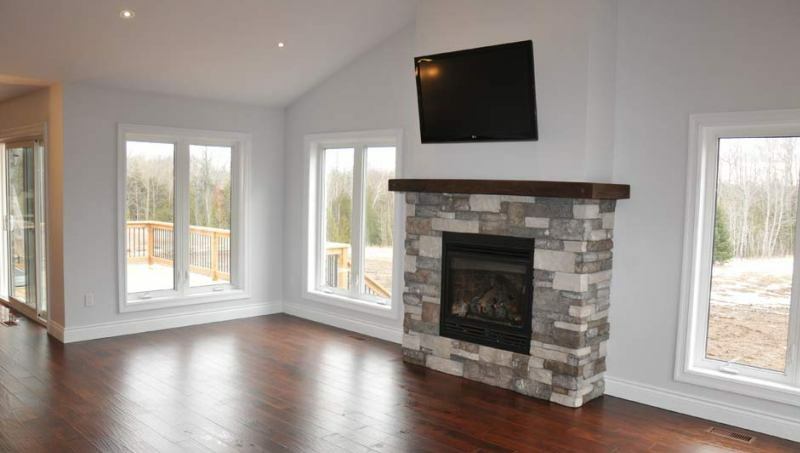 This custom built home measured 2,150 square feet (on the main floor) with Shouldice dimensional cultured stone. 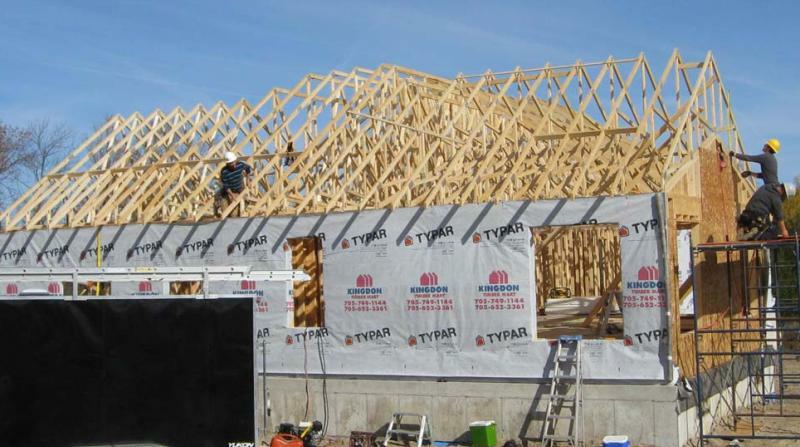 We started the build on the first of October and the customer moved in on February 14th to round out a 6 month project timeline. 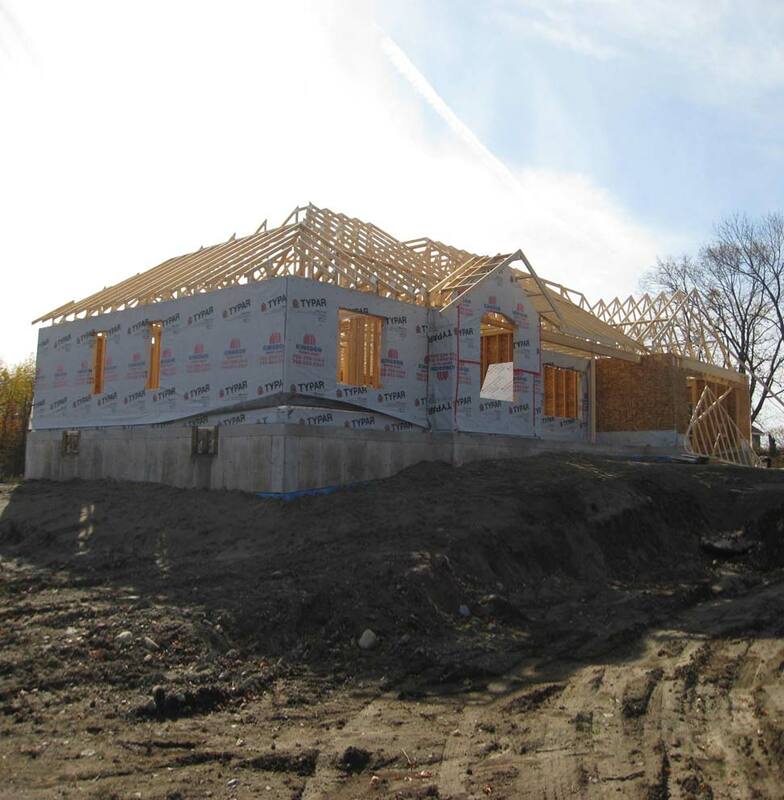 This home had a blown-in blanket BIBS insulation system and a combination of LVL and TJI floor truss systems for totally silent floors. 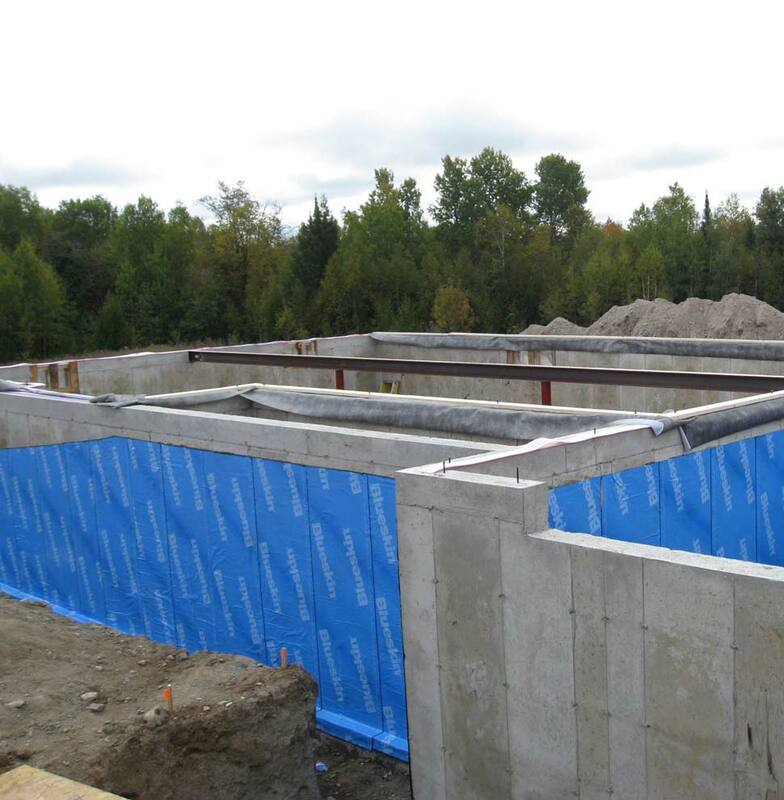 The 9 foot ceiling basements were completely waterproofed using Bakor Blueskin composite membrane before backfill. The main floor great room featured a cathedral ceiling measuring 14ft to the peak, with a stone veneer built-in gas fireplace. 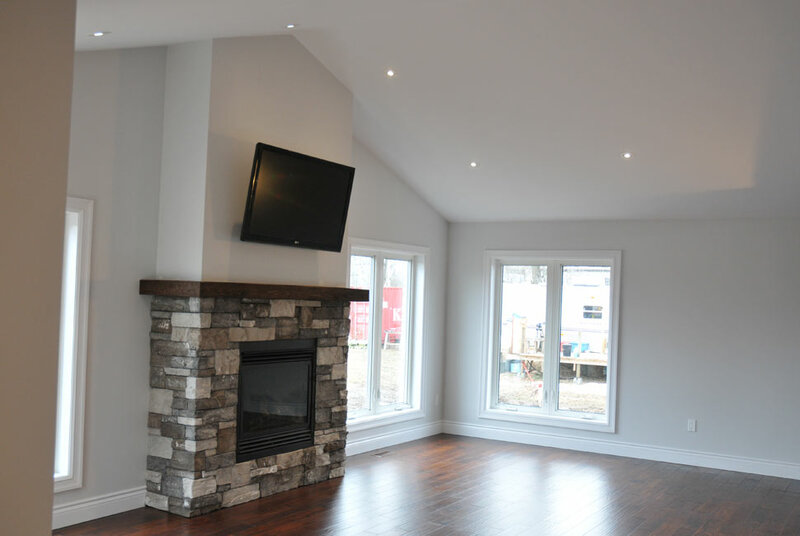 This entire custom home featured engineered hand scraped hardwood flooring throughout. 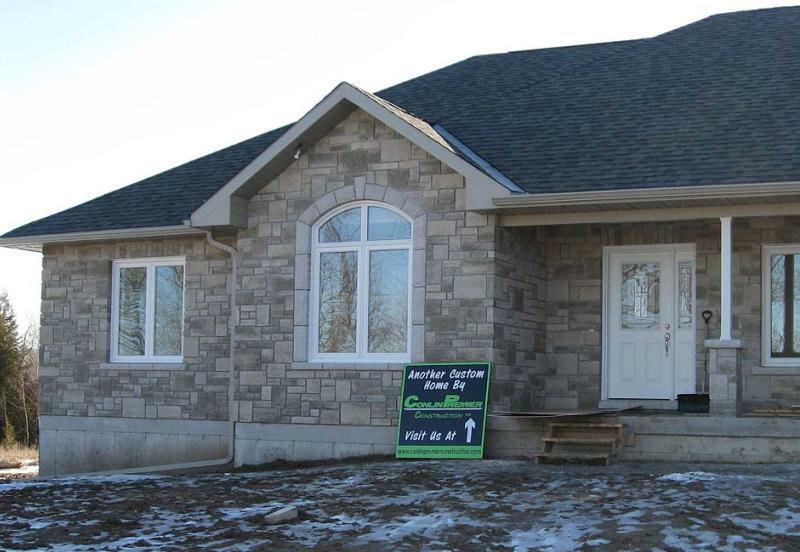 We were pleased to score an 85 on the EnerGuide rating for this home. 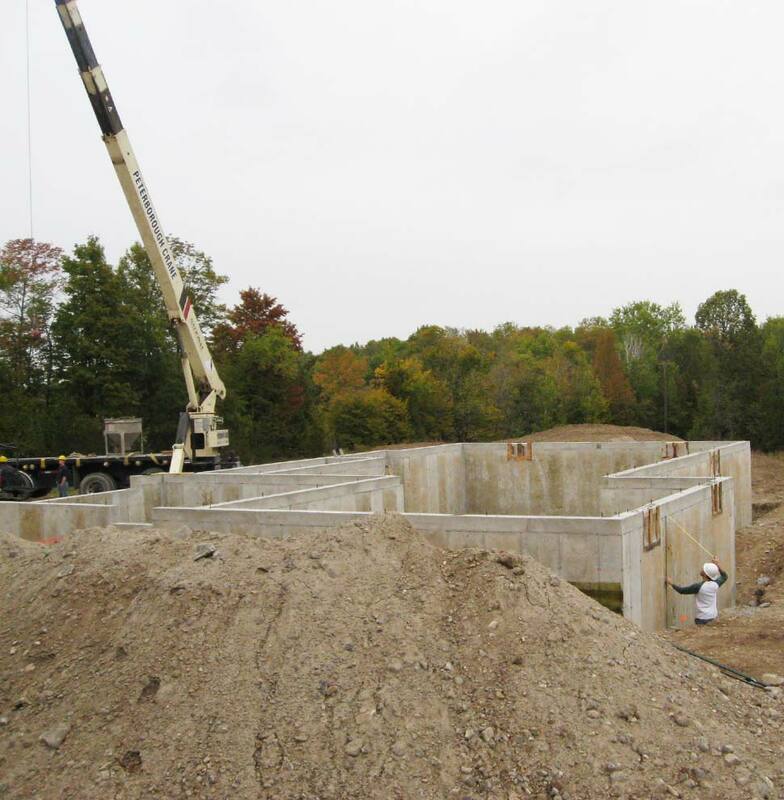 Our aim was to exceed the target score of 80 EnerGuide uses to designate a house as "highly energy-efficient".